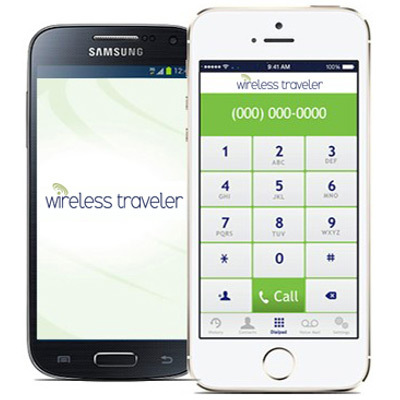 Wireless Traveler is the leading provider of calling, data and texting services for travelers. We have everything you need to stay in touch on your next trip abroad. Our clients save millions of dollars each year using Wireless Traveler’s low cost services. We are committed to providing the most up to date technology and highest level of customer support. Our Pocket Wi-Fi keeps you safe and secure when using internet abroad. No worries about finding or using public Wi-Fi in hotels or airports. Our global SIM cards are easy with low cost calling in over 190 countries. The Wireless Traveler WiFi Calling App allows you to call home as low as 2 cents per minute. Since 2007 we have saved our clients from expensive roaming fees. They have stayed in touch in times of emergency or the unexpected. Easy to use, all of our products come with instructions. Our helpful, support team can be reached from Monday to Friday.